Here's my progress on my 39" size LBT! 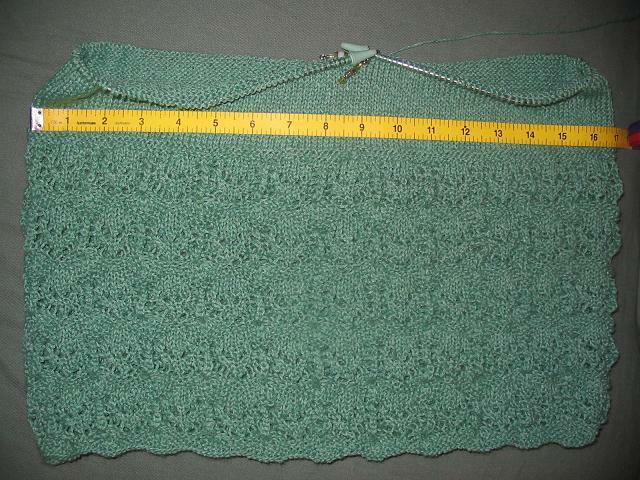 I've got about an inch or so to go before binding off at the armholes. As you can see from the measuring tape across the front, it is ~34 inches. 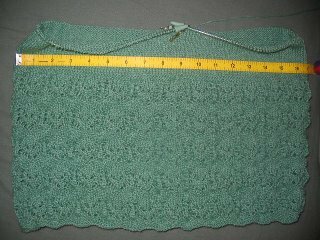 Having 5 inches less than the pattern's 39 doesn't worry me, especially since I made a 32" Green Gable (with 12 short rows) that fit my 37" bust just fine. It's hard to see the lace pattern due to the flash. But, the picture I took without flash was too blurry.